We'll begin at the (really) small end of the scale, pondering, from Cosmos, "Glimpses of the Madala boson: have we detected the dark Higgs?" And what, you may wonder, is a Madala boson? 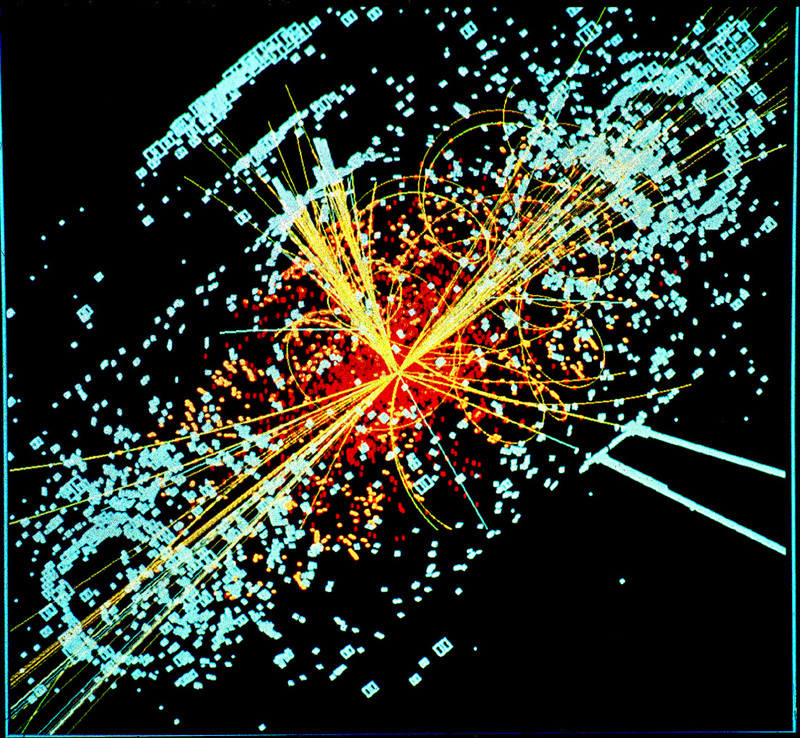 If it exists (and that's a [metaphorically] big if), the Madala boson would be the dark-matter counterpart to the property-of-mass-causing (in normal matter) Higgs boson first discovered in 2012. (As for madala itself, that's "a word of Zulu origin meaning 'old man', or 'old one.'") If this doesn't seem esoteric enough, consider that the discovery of a dark boson still wouldn't reveal what dark matter itself is, only why it has the property of mass. But are we really, truly, sure such a thing exists as dark matter? To date, we can only infer its (presumed) existence by the gravitational effects of its (presumed) unseen mass. Everywhere physicists have searched for dark matter, they have come up with ... nada. A recent essay in Scientific American challenges, "Physics Confronts Its Heart of Darkness" Cracks are showing in the dominant explanation for dark matter. Is there anything more plausible to replace it?" Thought-provoking, too be sure. The size of a proton (in the limited sense the term size applies to anything quantum mechanical) can be inferred from the excursions about it of a bound electron. Muons are (in the successful-for-decades Standard Model of particle physics -- which, incidentally, has no room for dark matter) closely related to electrons; both elementary particles carry exactly the same electrical charge. 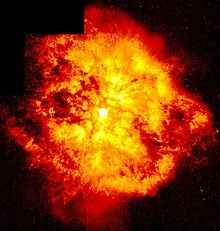 Hence, the expectation has been that the size of a proton as inferred from an atom of muonic hydrogen (i.e., an atom in which a muon, in lieu of an electron, is paired with a proton) would agree with the size of a proton as inferred from an atom of ordinary hydrogen. In fact, the determination of proton size from muonic hydrogen appears to be smaller the determination from standard hydrogen -- which, if confirmed, would mean particle physics is missing something fundamental. See, from Ars Technica, "Researchers orbit a muon around an atom, confirm physics is broken: The proton's charge radius shouldn't change, and yet it appears to." Moving up to atomic scale (how often does one get to say that? ), I must make mention of the recently announced Nobel Prize in physics. That research considers -- in an instance of applied topology, no less -- exotic states of matter observed in thin films. How exotic? Superfluidity- and superconductivity-exotic. To David Thouless, Duncan Haldane and Michael Kosterlitz, I say, "congratulations, and well done." Too big to go boom? Finally, from The Washington Post, we have the teased-in-the-subject-line space blobs, each of more-or-less galactic proportions. See "Scientists finally figured out the source of this bizarre, glowing space 'blob.'" Because, seriously. What possible better way is there to conclude a post than with an enormous, glowing space blob?